The Technology Division is focussed on providing advanced technology led security solutions encompassing a wide range of surveillance, detection, tracking and interception technologies. The Division comprises primarily of Westminster International Ltd and has a demonstrable potential to win and successfully deliver large implementations and product supply projects. The Division provides a wide range of niche ﬁre, safety, security and defence products and solutions and has a track record of delivering complex product and technology solutions to governments and governmental agencies, non-governmental organisations (NGO’s) and blue chip commercial organisations worldwide. Westminster’s strong brand, extensive web presence and international reputation means the Division receives large numbers of enquiries for its services from across the globe. Westminster International Ltd. is a British based and internationally focused security organisation providing Fire, Safety, Security and Defence solutions to governments & governmental agencies, non-governmental organisations (NGO’s) and blue chip commercial organisations worldwide. Westminster offers a wealth of experience and operates worldwide through strategically located international offices, agents and partner companies in over 45 countries, including a significant presence in the Middle East, Africa, Asia and the South America. The Group’s principal activity is the design, supply, installation, and maintenance of a wide range of security and defence solutions for the protection of people, buildings, organisations and the nation state. Westminster offers a broad yet complementary range of services to the Commercial, Industrial, Banking, Governmental, National Infrastructure, State Security, Military, Policing, Custodial, Telecommunications, Automotive, Aviation and Marine sectors worldwide. The Managed Services division is focussed on providing long term recurring revenue, managed services contracts and the provision of manned services as the management and operation of complete security services and solutions, together with consultancy, training and other similar supporting services. The Division comprises primarily of Westminster Aviation Security Services Ltd (WASS) and Longmoor Security Ltd.
Services include comprehensive protection solutions to key national and critical infrastructure sites (both governmental and commercial) such as airports, ports & harbours, railway stations, border crossings and other such facilities with Westminster providing the investment in equipment and personnel as well as providing the required expertise to operate and run the security operation under long term contracts. Westminster Aviation Security Services Ltd is a specialist division providing complete security solutions to the aviation and other transportation sectors protecting infrastructure, operations & assets and the travelling public throughout the world. Westminster provides a wide range of equipment, services and solutions including the manning, guarding and operation of complete airport security facilities, the provision of specialised screening of people, baggage and cargo, provision of surveillance, monitoring and detection equipment, explosive and narcotics detection, provision of physical security to prevent unauthorised access, emergency repatriation flights, emergency aid distribution and relief flights. Westminster can also provide a secure ‘meet and greet’ service for businessmen visiting foreign countries – the service will provide for the safe reception of the guest at the Airport and the transportation to Hotels etc. together with local information and support if required. 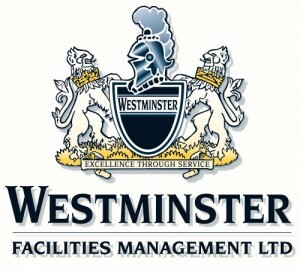 Westminster Facilities Management ltd as a facilities management and support organisation provides building management services to Commercial, Industrial, Banking and Governmental facilities worldwide, providing personnel, and technical resources for complete building management, operation and maintenance. As a Westminster Group company and working through the network of strategically located international offices, agents and partner companies in over 50 countries worldwide Westminster Facilities Management has the capability, structure and resources to deliver services and solutions to any building management requirement across the globe and integrate international multi site offices into a single managed solution. Longmoor Security Ltd. is a British based Security Consultancy, Close Protection, Guarding and Training organisation operating worldwide via strategically located international offices. Longmoor is recognised as a leading provider of quality security personnel and corporate security solutions worldwide protecting high profile international customers. Services covered include police and special forces training, close protection services and training, provision of manned guarding and site security, covert operations, surveillance and reconnaissance, medical training & services, emergency extraction services and disaster planning & relief services etc. Longmoor’s wealth of experience in training and protecting both military and civilian personnel worldwide, coupled with an ethos of using only the finest personnel, means Longmoor are ideally positioned to provide the most practical and comprehensive solutions to your security needs.